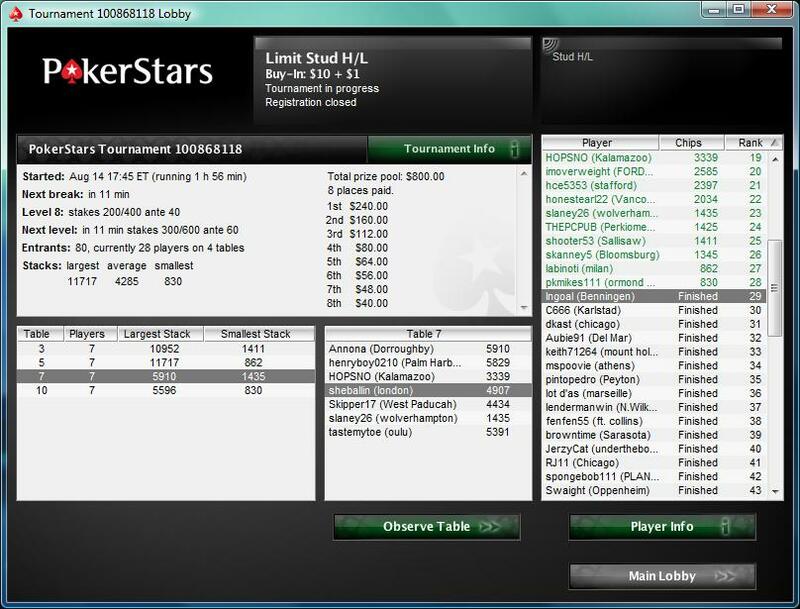 I just played a little Stud H/L Limit S&G over at AbsolutePoker and what can I say – this is going to be the last one for quite a while. 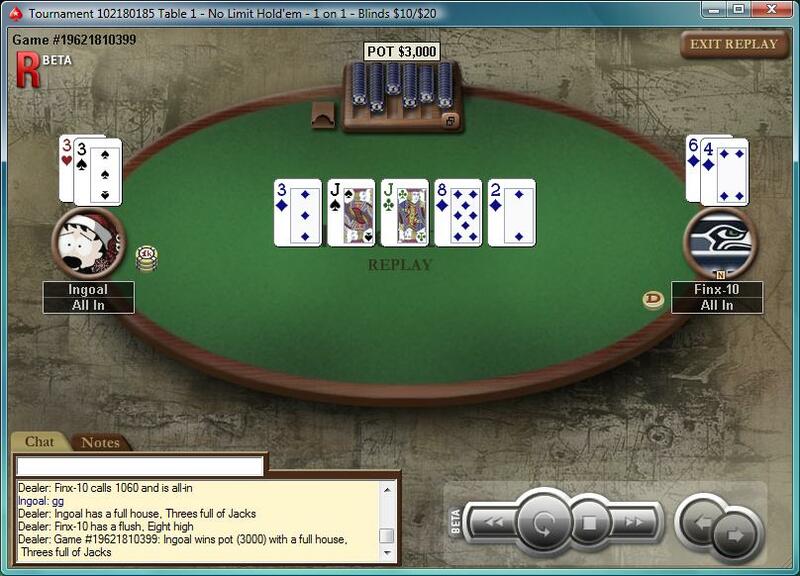 This was the first tournament of any sort that had me frustrated quickly…and not because of the cards that I was dealt. Let me explain: you sit at a one table S&G and play Stud H/L and one player at the table uses all the time he’s got on his hands all the time…so you’re basically sitting there waiting with each and every card that is being dealt – the other players weren’t too fast themselves which didn’t help either. 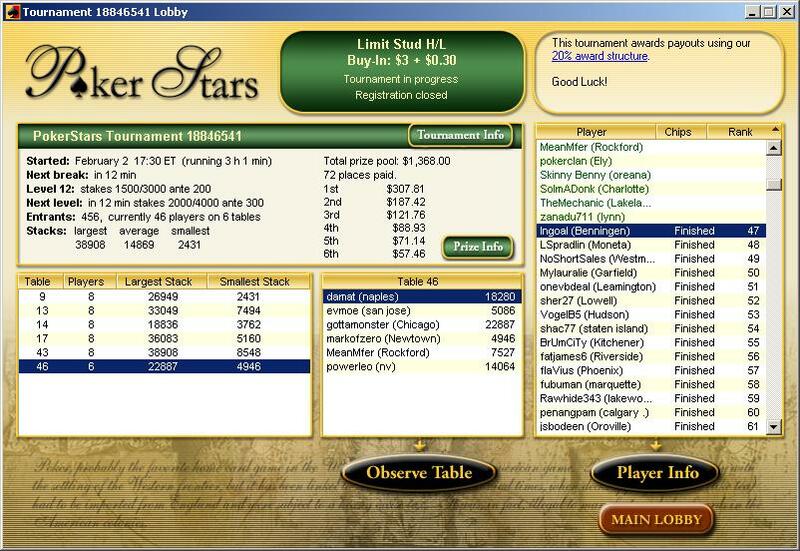 Now I’m going to play in the “Donkeys Always Draw Invitational” over at PokerStars…this will be my second poker blogger tournament…more of this later on…. 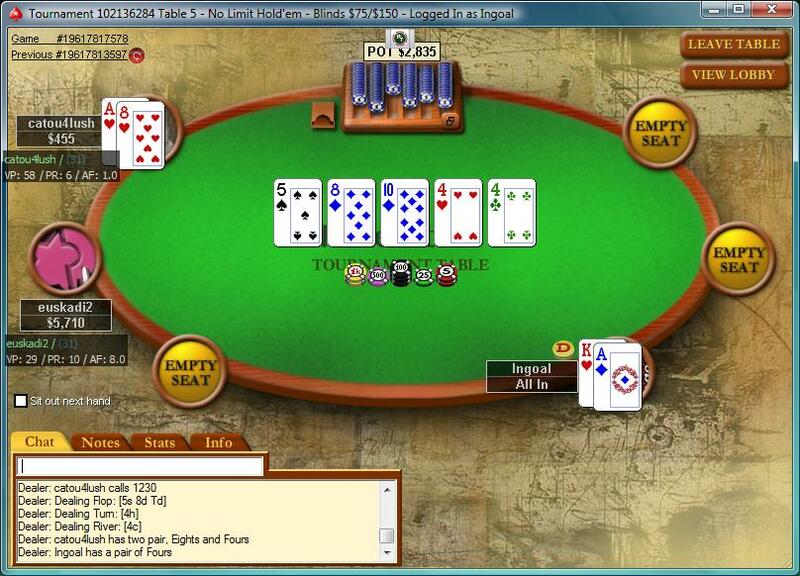 Seems I’m hitting rock bottom at PokerStars. 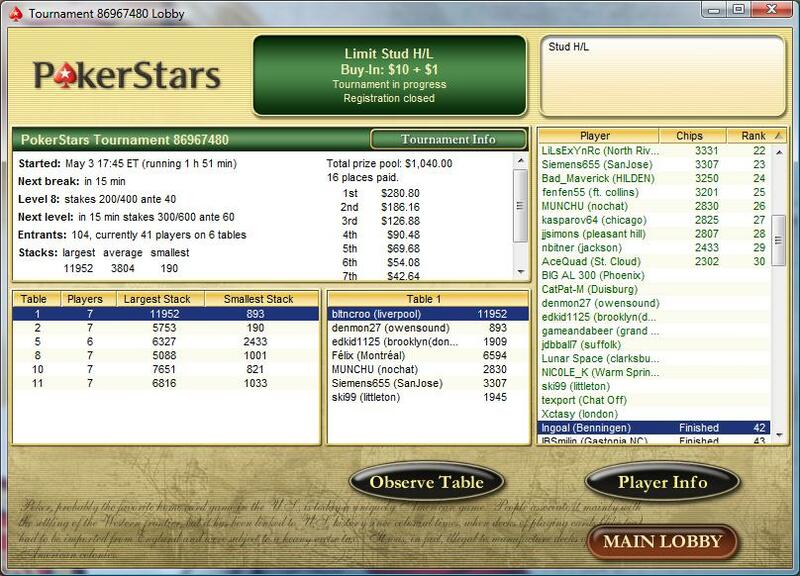 Played a little 7 stud H/L turbo S&G (16 players, Buy-In 1.5$ + 0.25$ fee, top 4 in the money). Played my game as usual and was able to scoop some pots early on, then I kept running into the chip-leader three times in a row…busted out at the final table in 8th position. Argh! 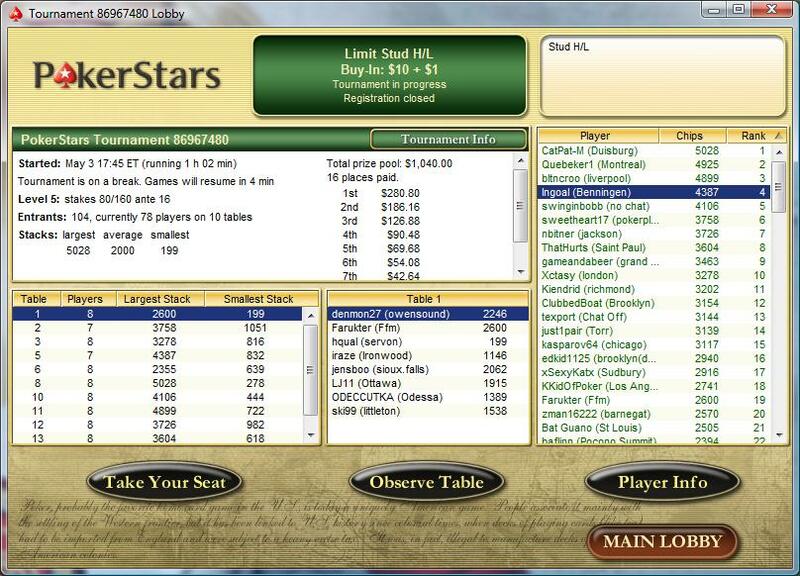 Another 7 Stud H/L tournament and another finish in the top 3 (of 7)…the best way to describe my playing: good. Just sitting around and waiting for good H+L hands to come around and at least taking down the low pot when I was in a hand…so no problem at all finishing in the top 3. 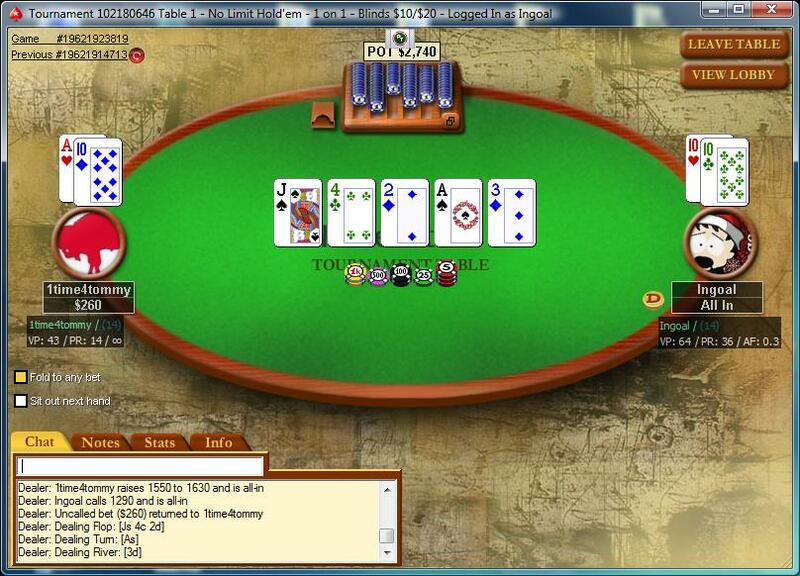 Maybe I should have a look at the higher buy-ins (this one was 0.50$ + 0.10$ fee again).